A 14-foot high steel sculpture meant to commemorate the Rotary Club of Baton Rouge’s 100th year. 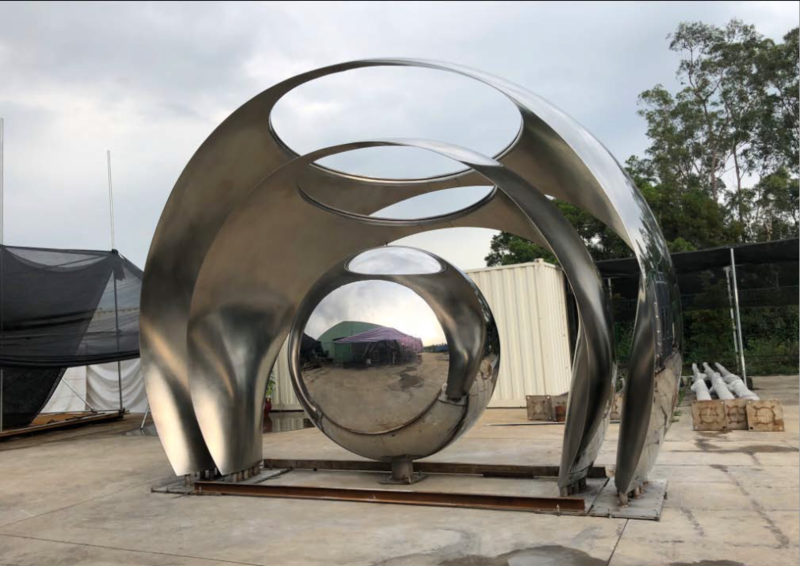 Installation of a 14-foot high steel sculpture meant to commemorate the Rotary Club of Baton Rouge’s 100th year has been delayed since October by an unlikely foe: the Mississippi River. The sculpture has been built and all the regulatory approvals have been obtained, says Beau Olinde, chair of Rotary’s Centennial Committee, but the Corps of Engineers says foundation work for the sculpture’s installation can’t begin until the river falls below 11 feet at its gauge in New Orleans. They don’t know when the river is set to fall below the 11-foot mark, but Olinde expects foundation work won’t begin until mid-summer, lasting some six weeks. Once the foundation is set, the sculpture’s installation should only take a few days, he says, adding the $350,000 sculpture will be located where Florida Street meets the levee. The club had planned for the installation of the steel sculpture to cost around $50,000, but Olinde says that cost has either doubled or tripled since then because of changes made to the foundation’s plans. “We’re counting on the generosity of our Rotarians, but I’m confident we’ll get it,” Olinde says.